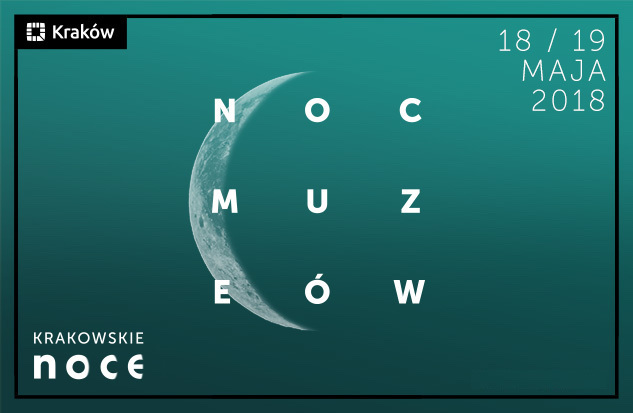 This weekend, the 15th edition of the popular Night of Museums (Noc Muzeów w Krakowie 2018) makes a welcome return on 18th/19th May 2018 from 6pm-1am. To mark the 100th anniversary of regaining Poland’s independence, this year’s Night of Museums will be held under the slogan: “Museums in the independent Polish Republic”. Since 2004 the cities museums and galleries have opened their doors for the ‘Night of Museums’ (Noc Muzeów), modelled on Berlin’s “Lange Nacht der Museen”, with 24 museums taking part this year, as part of the ‘Kraków Nights’ series. Thesaurus Cracoviensis and Museum of Podgórze – two new Branches of the Historical Museum of the City of Krakow. will be taking part in Museum Night for the first time this year. In Kraków, crowds of people queue to get free night time entry and occasionally access to otherwise unavailable sections of museums, galleries and institutions across the city, often including special displays and accompanying events. The opening of this years museum nights takes place at 6pm on Friday at the Archaeological Museum in Krakow, ul. Poselska 3. Museum Night runs from 6pm-1am, although some venues hours may vary. The 50 museums, branches, organisations etc, warmly invite you to Museums invite you to visit permanent and temporary exhibitions, they also offer special attractions, including city ​​games, concerts, workshops, night walks, film screenings, meetings and lessons for adults and children. You can find a a comprehensive programme, including an interactive map (Polish) or download and English text version at the links below. Many of the participating institutions have posted more detailed information on their own websites or created specific Noc Muzeów Facebook events. For a nominal fee of 1 zł you will receive a specially minted commemorative coin which provides unlimited admission. Additional services and special trams will also be available during the event, however, unlike previous years, holders of museum tickets and tokens, will not be entitled to free public transport. A word of warning – Expect Long Queues and Big Crowds, in 2015 over 145 thousand people took part in the Night of Museums.